Links to minutes and presentations. 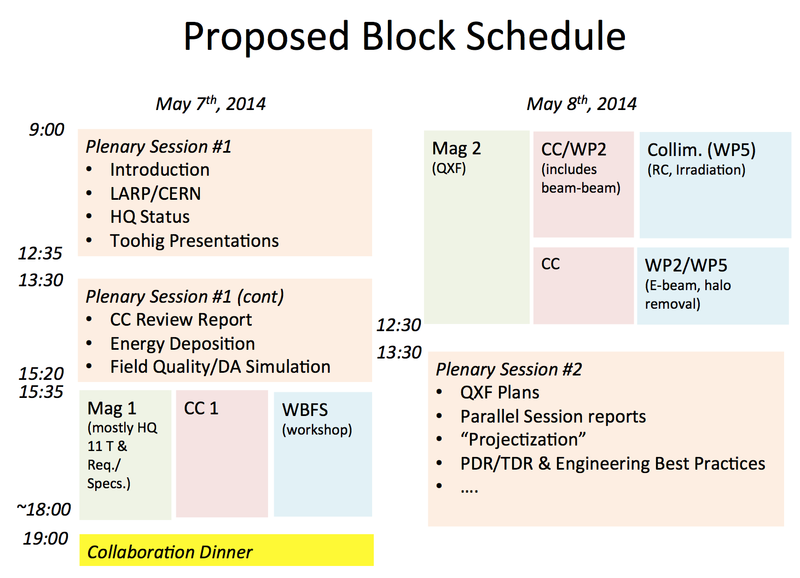 Special ColUSM: Joint WP2/WP5 Meeting. Special ColUSM: V. Moens' thesis defense. 22nd Meeting (24/05/2013) indico page, minutes: see agenda. Special ColUSM: internal review of "Tevatron hollow e-lens usage at CERN"
A. Marsili Update on ATS halo tracking simulations pdf, Update on TCL scans and debris tracking pdf.